I had high hopes for this beer being a collaboration with New Belgium Brewing and being a brett beer in a can. 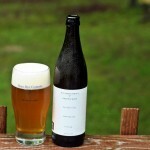 Overall I was happy with the beer but I think I am spoiled by the great funky beer coming out of Allagash and Oxbow. Appearance may be the best part of this beer with a nice orange color and thick off white head. Aroma is a bit odd with some apple tart and a bit of funk but not overly pleasant. Taste was disappointing with a little brett and some light fruit but also some flavors that just seemed off, not even sure what they were. Alcohol was well hidden but overall this is not a beer that I would seek out again. 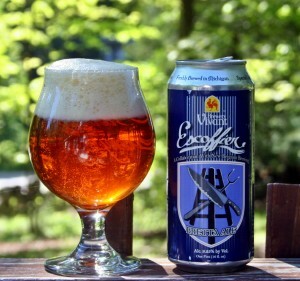 Brewers Description: Escoffier is our much heralded collaboration with New Belgium Brewing in Ft. Collins, CO. Coinciding with their entry into Michigan, this project began with a friendly meeting at our pub. After a few beers and some food, the idea to brew a beer together started to take shape. Characteristics: This beer displays our Farmhand yeast and a wild yeast from New Belgium’s brewery called Brettanomyces. Expect a brew that is somewhat dry and malt forward with the “horse blanket” funkiness synonymous with brett. This beer will only get better with time, and cellar well for years to come. This is the other beer than Maine Beer Company released today. Both Weez and Another One use the same hops but a different malt and with that they create two entirely different beers. The label on this one says ale but it truly is a black IPA which is a style I have not really enjoyed all that much. 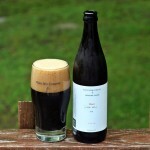 As you can see from the photo this beer is very dark with a thick tan head. Unlike Another One the aroma is dominated by the roasted malts with a bit of hops coming through. The hops that are present do not have the overwhelming citrus character that Another One had. Taste is solid with a lot of the burnt/roasted malts from the nose and a slightly bitter hop profile. This one actually finishes a little cleaner than Another One without the film on your tongue and teeth. Overall this is a very well done beer in a style that I have not yet embraced. In my opinion buy two of Another One and a Weez. Brewers Description: From the website: Hoppy and roasty American IPA, brewed as the dark-colored counterpart to Another One (both beers incorporate the exact same kettle and dry hopping schedule). Weez presents a blend of hoppy and roasty notes on the nose, followed by hoppy resins on the tongue, and finishes with a deep roast. From the bottle: This beer is dedicated to all the stray cats out there. Our tasting room helps to fund a local shelter that is dedicated to finding warm homes for every cat that comes its way. Cheers to HART. Another One IPA and Weez use the same hops but different malts. The result – Another One is very light in color and Weez is very dark. Each however, allow the hops to shine out front. 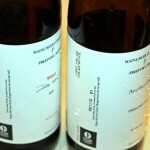 Maine Beer Company released two new beers today at the brewery. These will be hitting retail stores later this week but are available for purchase at the brewery now. These bottles are dated 6-11-2013 so you can’t get any fresher than that. Another One is an American IPA using citra, simcoe and cascade hops and plenty of them. 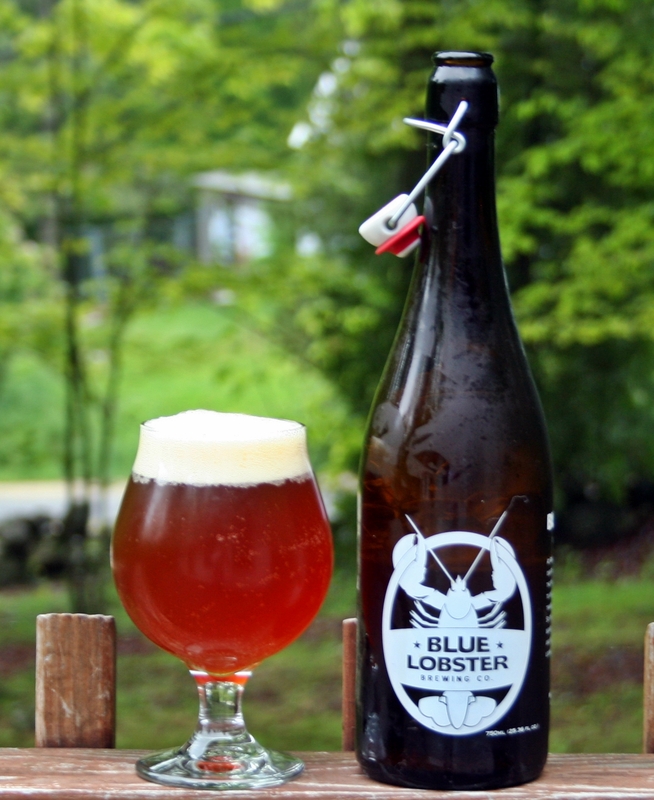 At the brewery bottles are $6 for the typical Maine Beer 16.9 ounce bottle. Appearance is your typical IPA with a solid two finger white head. Aroma is plentiful with lots of citrus and a bit of pine sneaking in. Taste reminds me a lot of Hill Farmstead beers with a lot of tropical and citrus hops and a slightly oily mouthfeel that leaves a little coating on the teeth and tounge. Beer is easy to drink and masks the 7% ABV well. 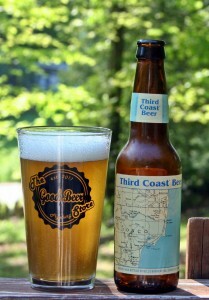 This is an excellent beer that challenges Lunch as my favorite from Maine Beer Company. When this beer makes it to your local beer store be sure to buy more than one as you will enjoy it. Brewers Description: From the website: Intensely hoppy American IPA, brewed as the light-colored counterpart to Weez (both beers incorporate the exact same kettle and dry hopping schedule). Another One has a very clean malt palate, leaving little but hoppy resins on the tongue, and finishes dry and crisp. From the bottle: When we expanded our brewery the stress was something to say the least. I ran out of creative juice for a minute so decided to have another for inspiration. Another One IPA and Weez use the same hops but different malts. The result – Another One is very light on the color and Weez is very dark. Each however, allow the hops to shine out front. This is another one received in a trade from Utah brewery, Squatters. Being a double IPA I had high hopes as it is my favorite style of beer. Appearance is a very clear orange with a nice white head. 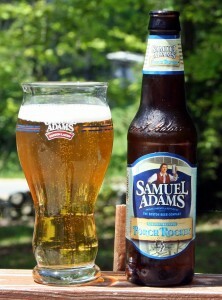 Aroma is mostly floral and pine, I prefer the citrus/tropical aroma. Taste is OK with a little more citrus coming through but it is also fairly bitter. Overall this was a good beer but again not something I would seek out again. 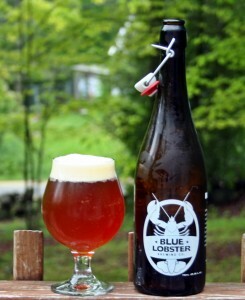 Brewers Description: Big hop, big malt, big beer. One of the most aggressive beers ever released in Utah, Hop Rising a double India Pale Ale, clocks in at 75 IBU’s and 9% alcohol. We use three different malts to create enough flavor to perfectly balance three varieties of hops, then, because we can’t help ourselves, we dry-hop it; resulting in an amazing two pounds of hops per barrel! The combination of robust malty flavors and huge hop bitterness provide a well-balanced beer; a hop lover’s dream. 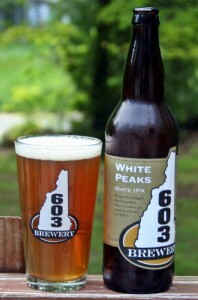 After having Winni Ale from 603 Brewery and enjoying it I had high hopes for their next beers. I came across White Peaks and 9th State Red IPA at Top Shelf Brews in Hampton and grabbed a bottle of each. White Peaks is a white IPA which I believe should be a Belgian Witbier with a bigger hop profile. This one looks like a regular IPA with a nice orange color and thin white head. Aroma is minimal with just a hint of hops. Taste is where I get confused as I am not getting any hop flavor and also not getting any Belgian yeast flavors. Overall this beer was not bad but not at all what I was expecting for a white IPA. 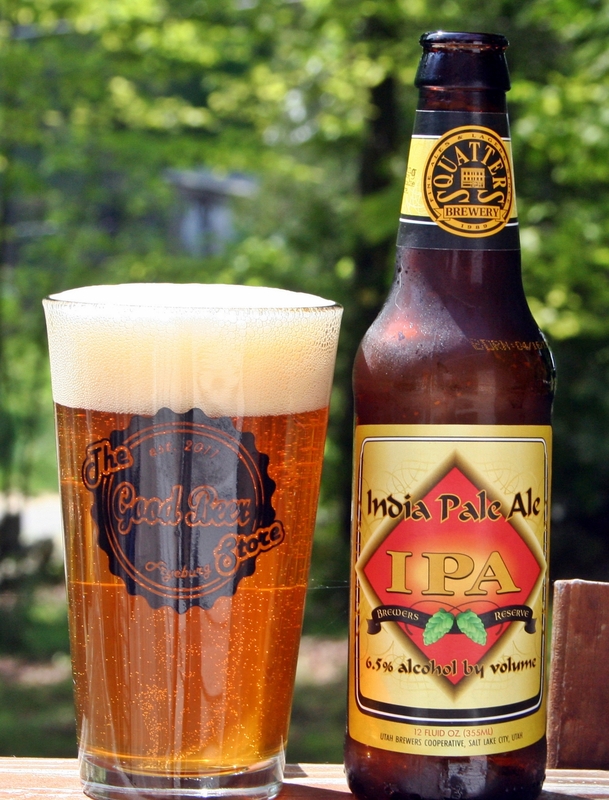 Brewers Description: A crisp and refreshing India Pale Ale with a clean finish. This one came from one of my long time followers in the Seacoast NH area. We trade beer and meet up for drinks occasionally and recently met up at WHYM Craft Beer Cafe in Portsmouth. Had never heard of Squatters as they are based in Utah but I am always up for trying a new IPA. This beer was fairly fresh with a bottle date of 4/16, considering it came from Utah that is not terrible. Beer pours a nice orange with ample off white head. Aroma was OK with some floral and pine hops. Taste was kind of subdued with a nice mix of hops but a significant and almost overpowering malt backbone. Overall the beer was good but nothing special when compared with the hundreds of other IPAs out there. 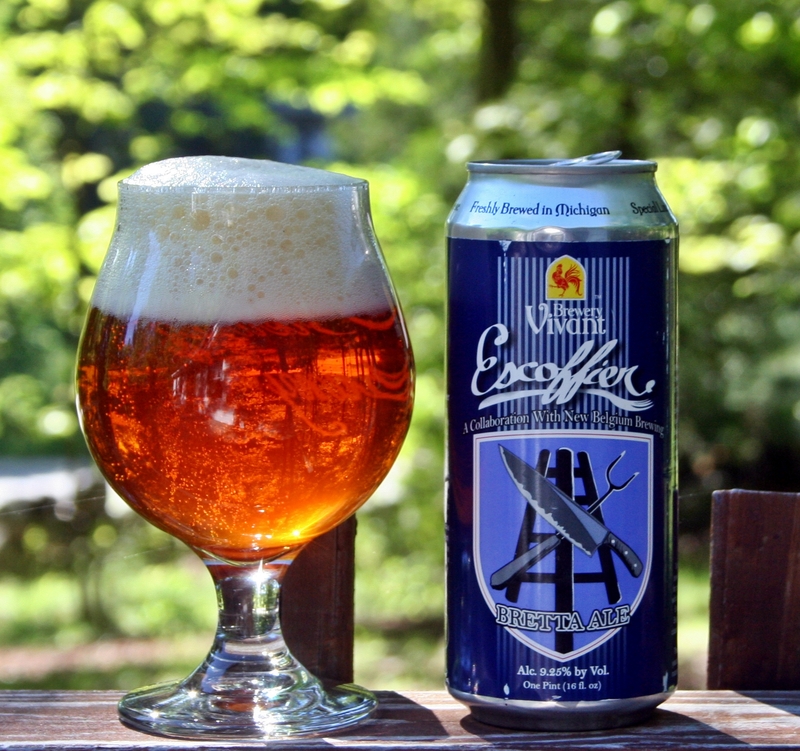 Brewers Description: This classic American IPA has a golden copper color, generous hop flavors and aromas and the maltiness of premium English barley – perfectly balanced by alcohol at 6% by volume. Not sure why it took me so long to try this beer as I generally like Lagunitas beer and a low ABV IPA is something I truly enjoy. I happened to grab a single of this from The Vault last week when I was in and opened it on a hot Saturday afternoon. Beer pours a very clear pale yellow with a nice white head. A little lighter than most of the beer I drink but I expect that from a low ABV beer. Aroma has a lot of hops, kind of caught me by surprise how much aroma this beer had. Taste was what I expected, a fair amount of flavor but a slightly watered down mouthfeel. Plenty of carbonation and a crisp, clean taste make this one quite refreshing. 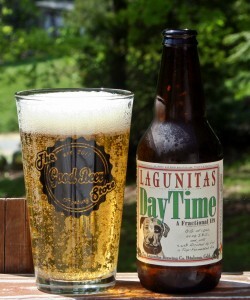 Overall this is exactly what I expected from Lagunitas for a “fractional” IPA. Excellent stuff when you are going to drink more than a few beers. Brewers Description: Sometimes you want a beer, then you realize how much crap you need to do before you call it a day. This is it. Nicely dosed with Big, Round Hop Flavors and a Toasty Malt Foundation to satisfy your every need. But it still lets you stay in the game to do what needs to be done. Yup.